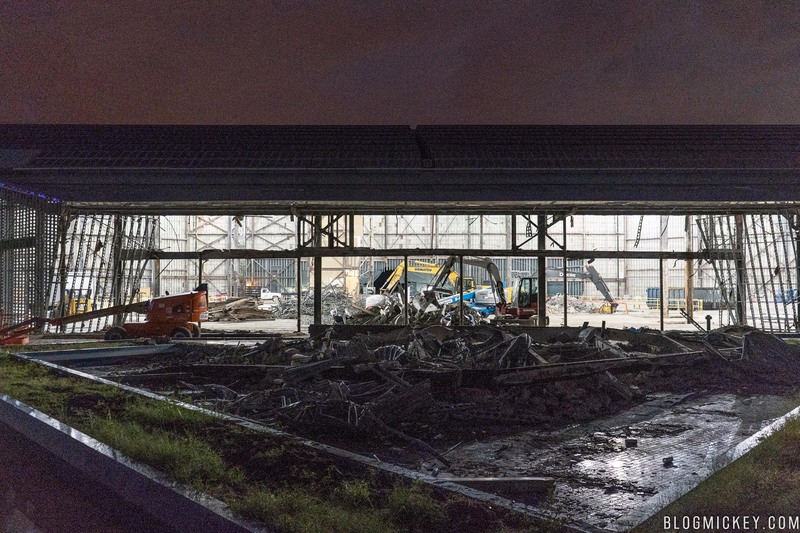 Work on the Guardians of the Galaxy roller coaster has progressed to the front of the building. 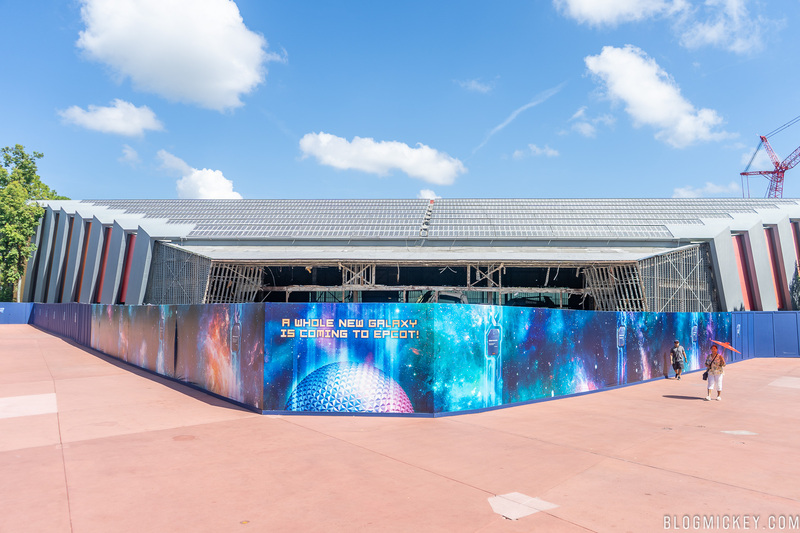 After the complete removal of the iconic mirrored tile facade, Disney has now begun the ugly work of demolishing the front of the structure. 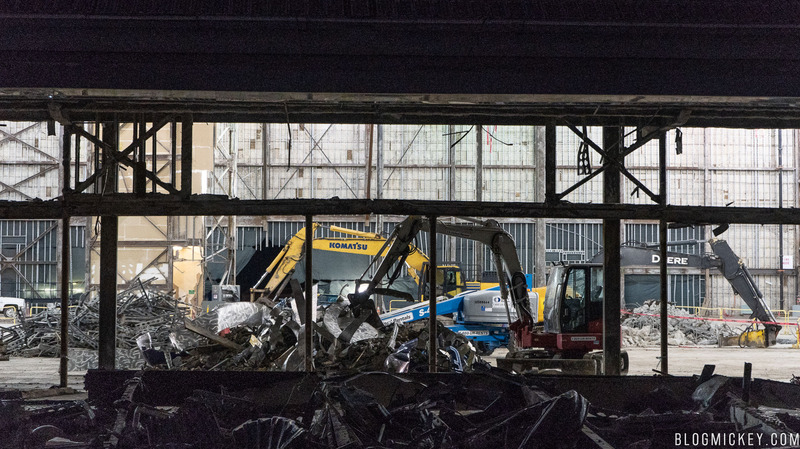 When completed, the structure as a whole will remain, but a reimagining of the front of the facade required it to be ripped open this morning. 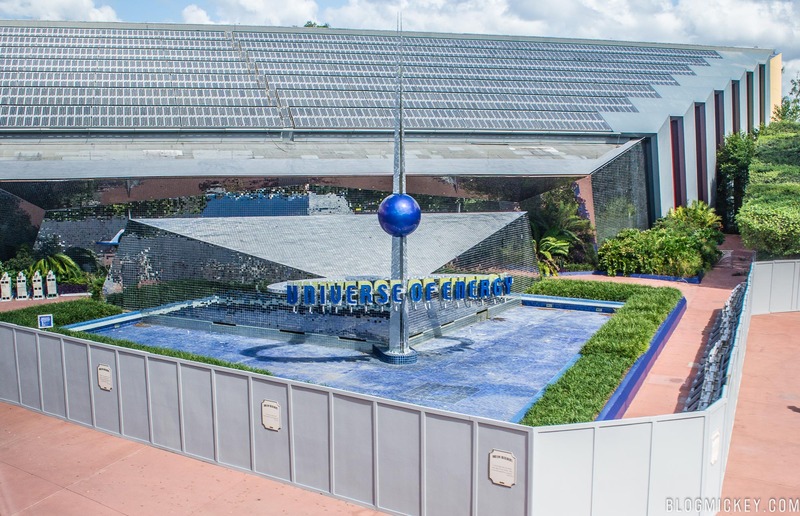 First, here’s a look at the concept art for the Guardians of the Galaxy roller coaster facade. 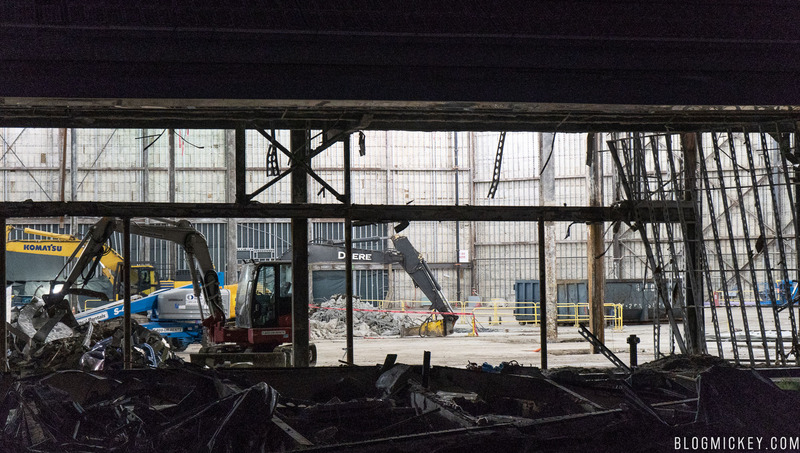 As you can see, the general shape of the building remains, with the front of the facade receiving the most amount of change. 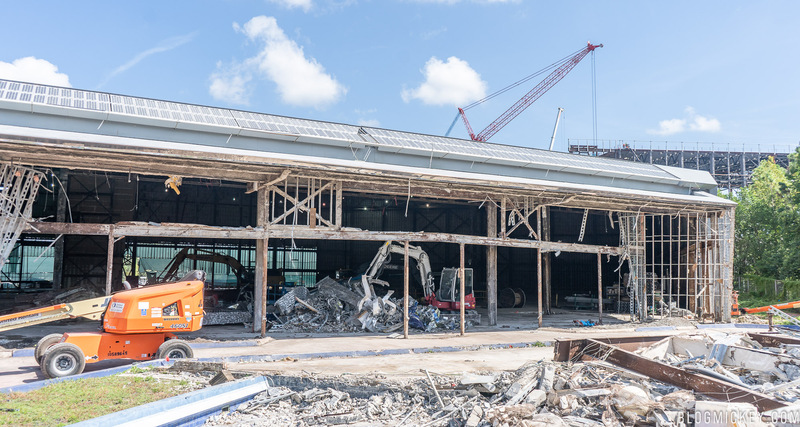 It’s this change that requires a demolition of the front of the facade. Here’s a look at the facade from this morning. 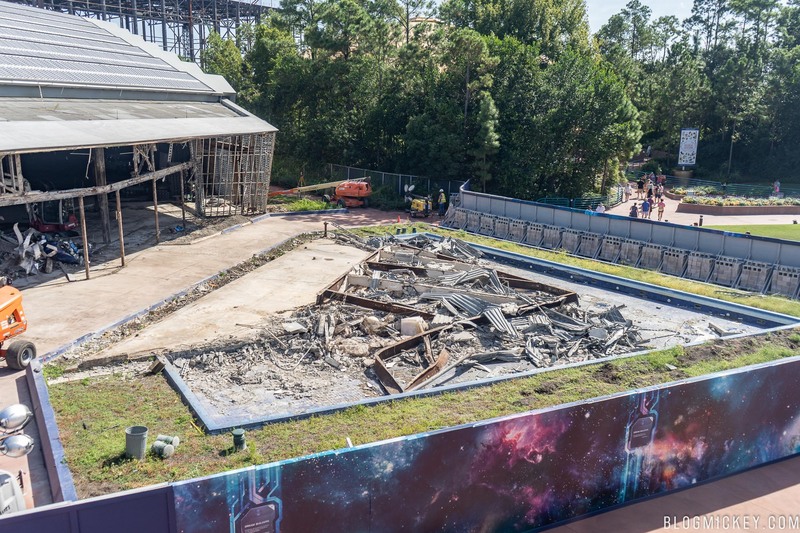 An elevated view from the monorail reveals the demolition of the sign and the gutted interior of the Universe of Energy pavilion. Here’s a look back at the sign and facade from October 2017 compared to today. 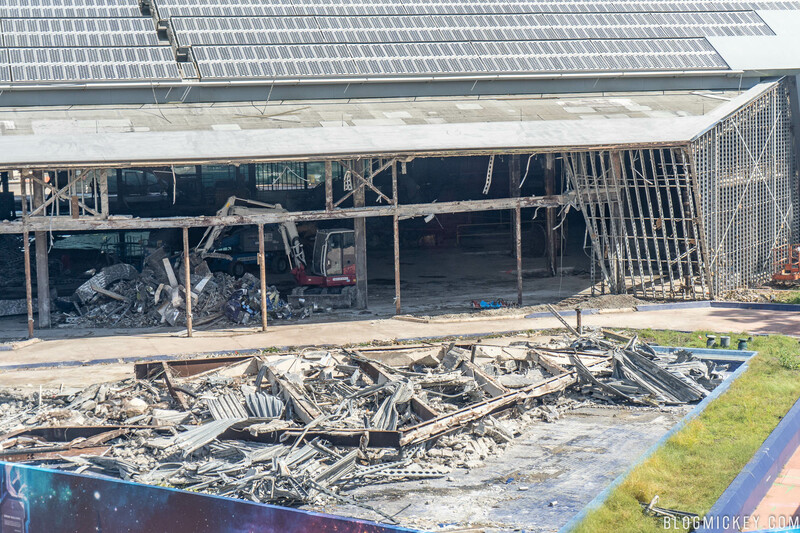 Another look inside of the gutted Universe of Energy pavilion. 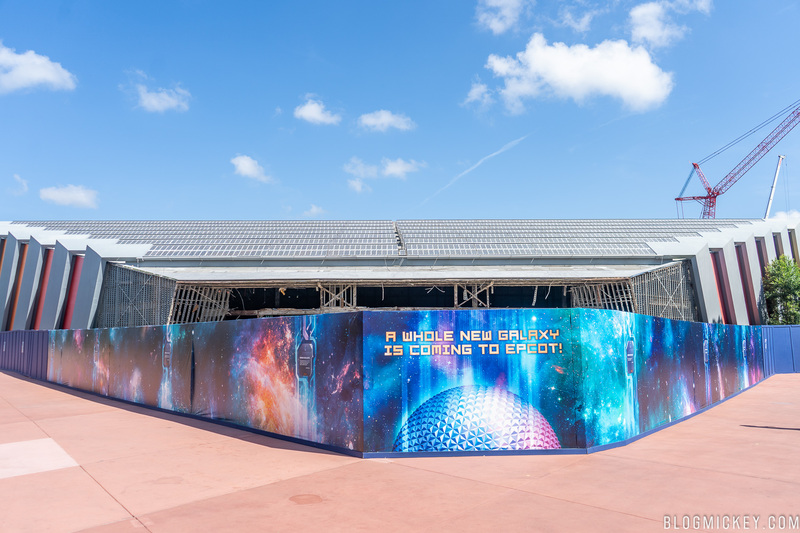 This building will serve as queue space and multiple pre-show areas for the Guardians of the Galaxy roller coaster. 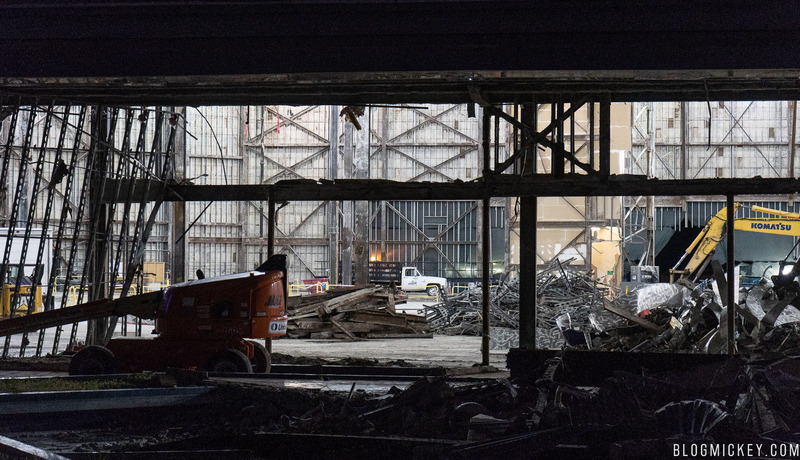 UPDATE (9/19): We returned to Epcot at night to grab even more photos of the gutted interior of the Universe of Energy Pavilion. 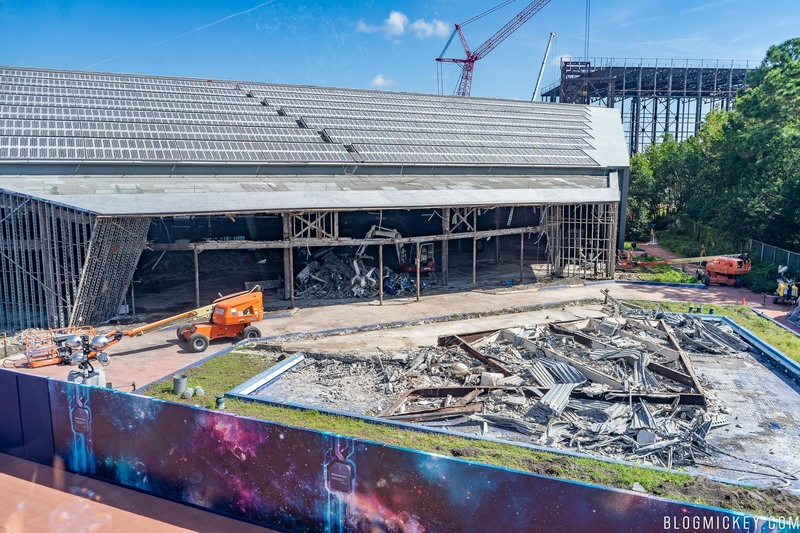 The Guardians of the Galaxy roller coaster is set to open before the 50th Anniversary of Walt Disney World in 2021.